Lucca is a medieval walled city in Tuscany that is 45 miles from Florence, 13 miles east of Pisa and 208 miles north of Rome. 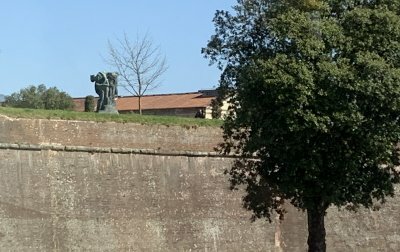 The wall surrounding the old city dates from Renaissance time and you can walk the entire 2 1/2 miles on top of the wall. 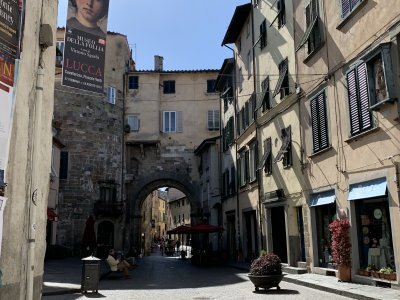 The town was founded by the Etruscans and became a Roman colony in 180 BC. 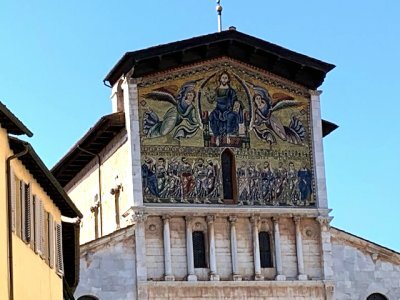 Church of San Michele in Foro in Piazza San Michele was built in the 12th century. 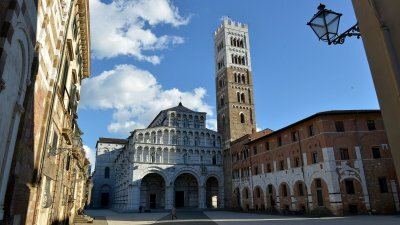 Photo by R. Giomi - Lucca Tourism. A section of the wall that surrounds the old city. 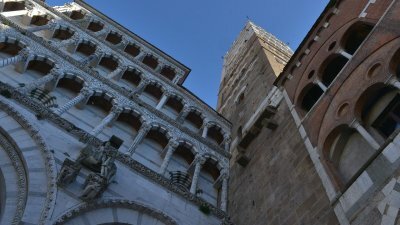 The beautiful facade of San Michele. The catholic church dates from the 11oo’s and was built over the Roman Forum. Basilica of San Frediano on Piazza del Collegio. Beautiful mosiac! 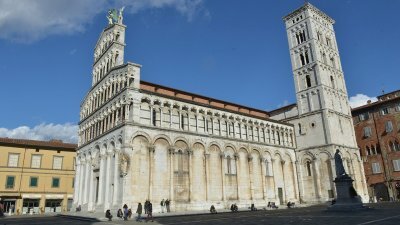 There are over 90 churches in Lucca. 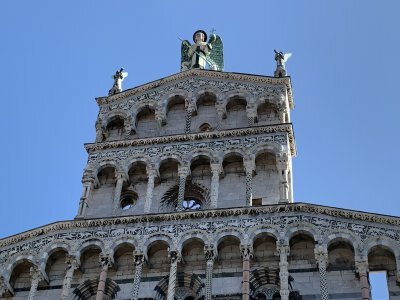 Cathedral of San Martino, the main cathedral in Lucca. 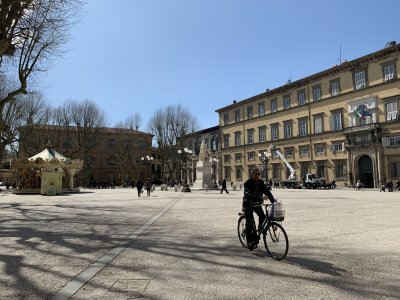 This is Piazza Napoleone with the Palazzo Ducal on the right hand side. Now a major place for exhibits. 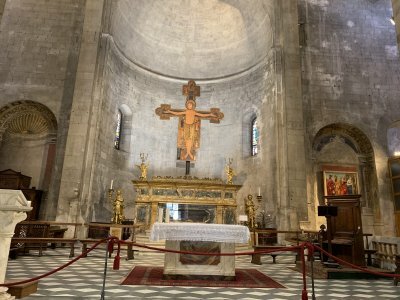 Inside the Cathedral San Michele in Foro in Piazza San Michele. 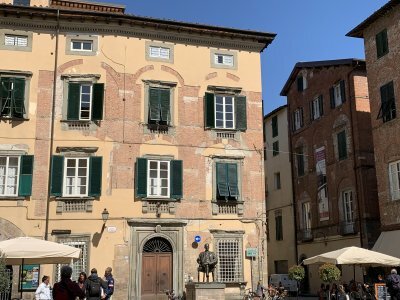 Puccini was born in Lucca and this is his birthplace and his museum. The statue in front is Puccini and the museum is located on Piazza Cittadella. The cathedral was consecrated in 1070. 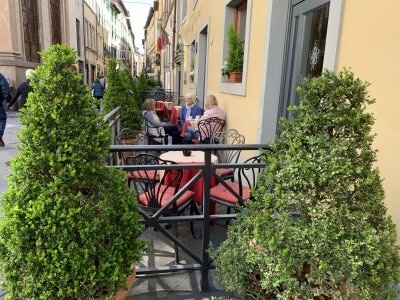 There are a lot of outdoor cafes in Lucca. 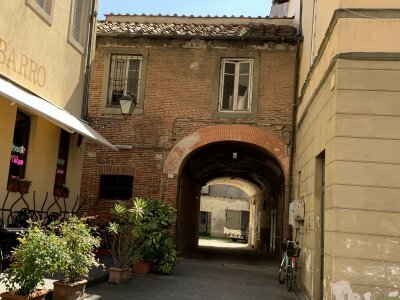 Lucca is a very walkable town with wonderful things to see around every corner.